Yahoo has released its list of the most common search typos and errors – with 'Brittany Spears', 'Brack Obama' and, brilliantly, 'swan flu' among the most common errors. Yahoo's list is from the US market, which affords us the luxury of giggling at gems such as 'Dancing with the Starts' and the 'configure worm'. But the likes of Susan Boil (instead of Boyle, of course) and Rod Steward (Stewart) add a nice cross-Atlantic flavour to proceedings. And we reckon mysapce.com must be doing rather well for itself considering the misspelling of MySpace is in the list. "These things jump out at us, especially when there is a breaking news story and (Yahoo users) want to follow up on a story," Yahoo Buzz's Vera Chan told USA Today. "It's interesting to see the different variations of these spellings." 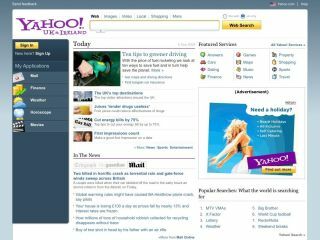 TechRadar is surprised that the misspelling of Yahoo as Microhoo appears to be missing from the list.